FAQ: Are My Guests Welcome at Pennswood Village? 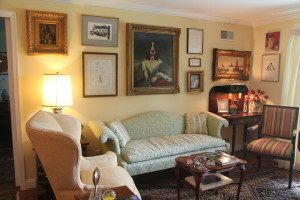 Many new residents at Pennswood Village ask if their guests are welcome to visit. The answer is: of course! The Quaker values we hold so dear at Pennswood Village emphasize the importance of relationships with family and friends, and to be welcoming to all. With this in mind, we enjoy when our residents invite friends, family, and loved ones to visit, spend time and enjoy the campus along with us. 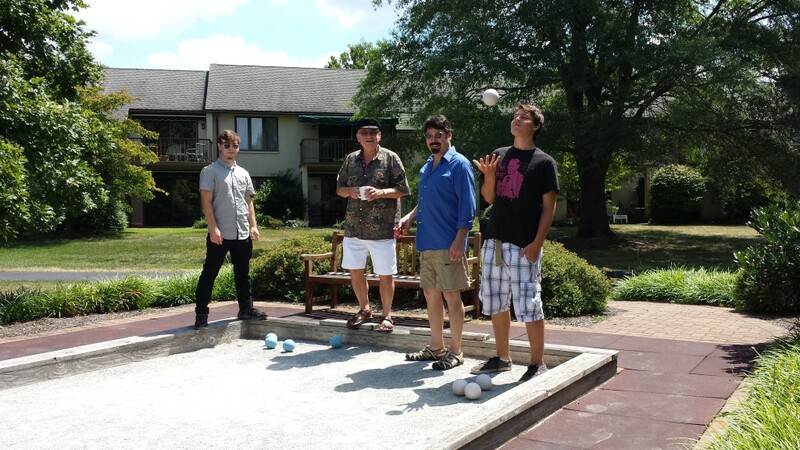 Phillip Otey, Todd Waymon (resident), Alex Otey and Patrick Otey enjoying the bocce court together at Pennswood.